It’s black, it’s green and it’s gross. Mold often appears in the winter times when the heating is turned on and there is no ventilation to let proper air flow. It thrives in areas where there is a lot of moisture. If you live in a basement, there is a higher possibility of mold to appear, but it will also appear in any areas where it is dark and humid. 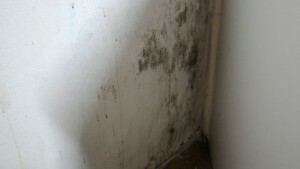 Here is a picture of some mold appearing on the 2nd floor of my kitchen. 1) Leave inside doors and windows open. We want as much air flow as possible. During the winter, when you’re not at home. I suggest leaving the window open a crack to prevent mold. 2) Leave a fan or air circulator running for a few hours a day towards the direction of the areas where mold appears in your apartment. A lot of fans have timers these days, so you have to set it once and forget about it. Air circulators should hit most of the spots and does not really need to be pointed at a specific direction. 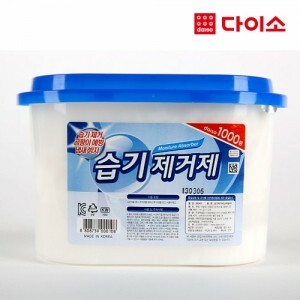 3) Purchase a dehumidifier (제습기) for $1 or 1,000 won at Daiso or any other supermarket and leave it beside any areas where mold will appear. 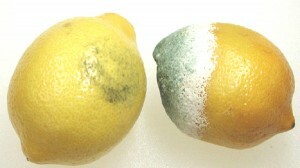 2) Bleach – in a spray bottle can fade the mold. You can also use toilet paper or paper towels and soak it in bleach and then stick it on the mold for a few hours or a day. 3) If you got mold on the tiles such as in the bathroom, you can use a toothbrush or the toilet bowl cleaner brush and just scrub at the mold and it should easily come off. TIP: Make sure to SPRAY and not let it shoot out and aim closely at the mold!